This completely depends on what you need. SLRs do some things better, like predictive AF, and apsc/FF have higher resolution. But, perhaps you don't shoot action. Perhaps you don't print large. I personally tend to crop a lot as my shots are not always planned out, but i find 16mp more than enough. If new models offer more i will take it, but it's not like im complaining now. I would much rather have cdaf without worry of BF/FF, i would much rather have peaking in my VF. I would much rather have no vibration in my camera, and a shutter that will last a million shots instead of 100k. These are the things i would sacrifice if i jumped to Canikon and left my GX7. I totally get size and weight are a big benefit for some, but there are far more benefits than just that. If you are not aware of the others, that's too bad. The only reason i would switch to a DSLR is if top notch predictive tracking was a MUST. I do not think you understood my comment. What I said is that DSLRs offer better value-for-money, not that they are "better" than M43. Having switched I would not go back to DSLRs. I know that I am paying a premium for the size and weight reduction, and am content to do so. Hrmm... I'm not seeing that. My DSLR 2.8 Sigma standard zoom (17-50) with OIS was only $500. There is nothing in the m43 line that has those specs for anywhere near that price. Well, unless you plan to buy a fuji x-e1 (only $800 WITH that stellar 2.8-4 lens). I'm personally waiting for companies like sigma to start shaking things up in this space to get more lens competition going. 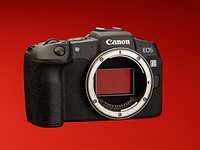 Though with my luck they'll probably make an APS-C sized Foveon mirrorless interchangeable camera.